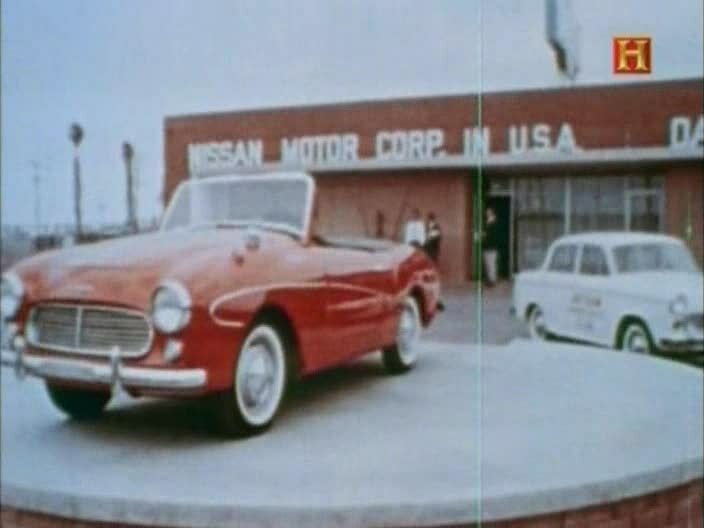 IMCDb.org: 1961 Datsun Fairlady [SPL213] in "The History of Nissan Z: The Definitive Story"
It's a Sports 1600. The Fairlady name was used only in Japan. 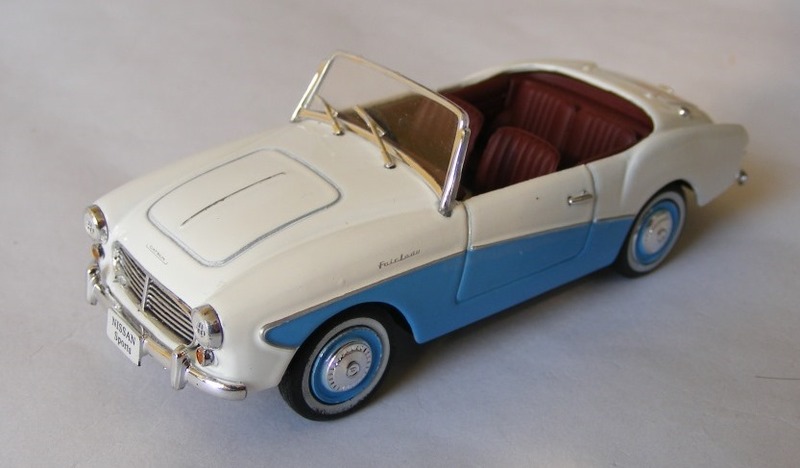 ~ while true that for later models the roadsters were sold as "Fairlady" models in Japan, and by use of their displacement as a model name in the U.S. ("Sports 1500", "Sports 1600", "Sports 2000")... for 1959-61 (SPL211, SPL212, and SPL213) these cars WERE sold in the U.S. badged as "Fairlady" models. this car would be a Datsun Fairlady (with a 1200cc motor, though that wasn't yet used in place of the model name). an_unusual_eye wrote ... for 1959-61 (SPL211, SPL212, and SPL213) these cars WERE sold in the U.S. badged as "Fairlady" models. This car would be a Datsun Fairlady (with a 1200cc motor, though that wasn't yet used in place of the model name). Agree for 1960 SPL212 and 1961 SPL213 - these were both exclusively sold in US with all examples being LHD. But the first version - the 1959 S211 - was a batch of 50 sold only in Japan, all with RHD and just called Datsun 1000 Sports. The Fairlady name started with the US-bound SPL212 and was an impromptu marketing ploy taken from the hit Broadway musical.